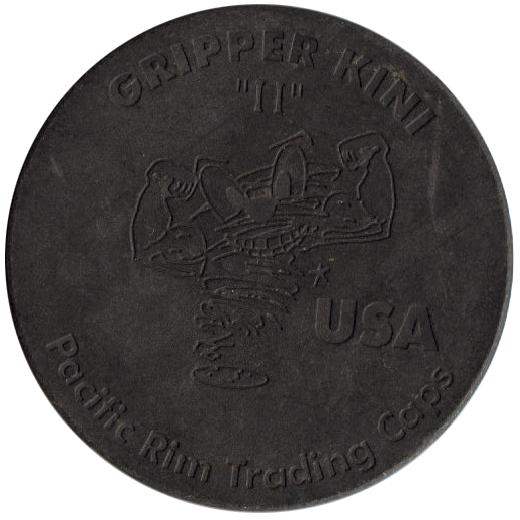 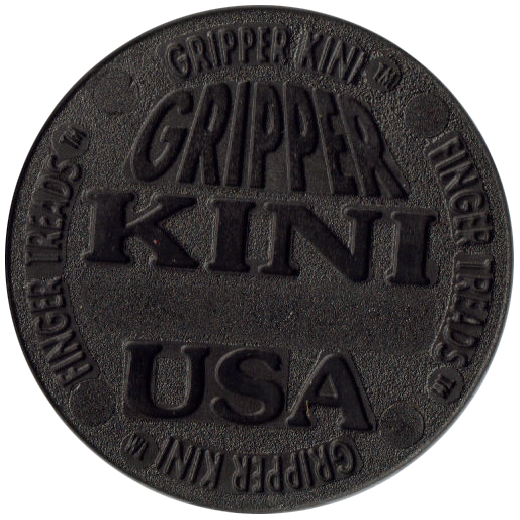 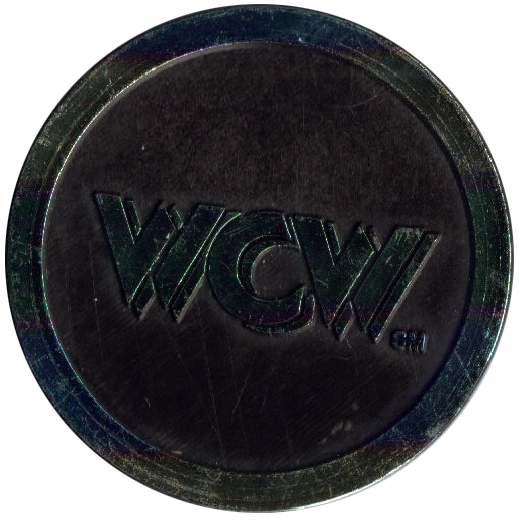 Info:These Gripper Kini slammers were produced by Pacific Rim Trading Caps and feature the WCW logo or the Havoc logo. 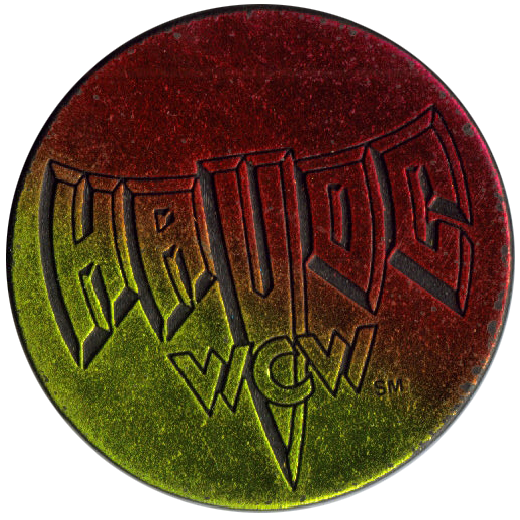 Havoc was a wrestling event organised by WCW. 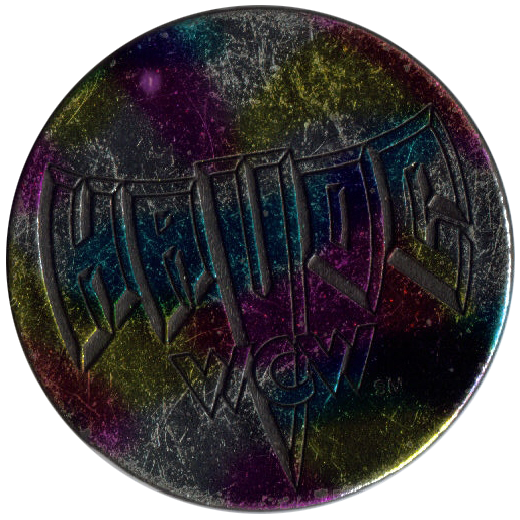 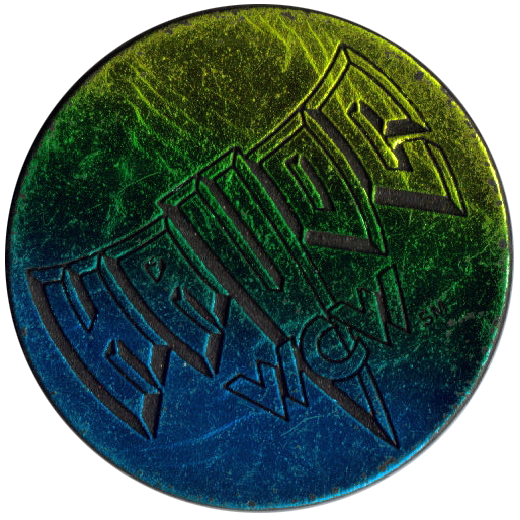 The slammers are made from black plastic, and the front side is painted with a reflective paint in a variety of colours.